The Free Library of Philadelphia encourages children to get lost in a good book. Beginning on June 27, the city will host the "Go 4th & Learn" festival. The event is part of "Wawa Welcome America!" and aims to give the Philadelphia community free access to museums, books and workouts. Two museums are offering free admission, The Franklin Institute is bringing one of its exhibits to a public park and 10,000 books will be distributed throughout the entire "Go 4th & Learn" festival, which runs through July 2. All six festival events are free and family-friendly. The Franklin Institute will provide educational demonstrations and interactive activities based on the exhibit "The Science Behind Pixar." Afterward, there will be a free screening of "Finding Nemo" at 8:30 p.m. Free book giveaways and readings will also take place. 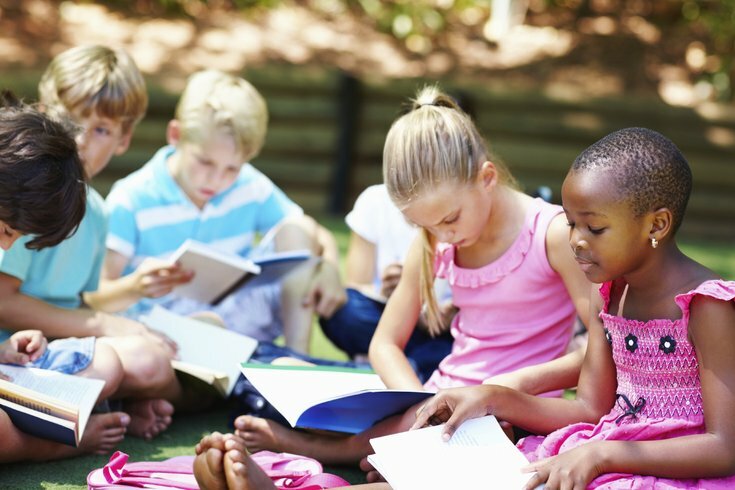 On June 29, starting at 2 p.m., parents and children can enjoy a citywide reading held at all 54 Free Library locations. Plus, the first 100 kids at each library will receive a free book thanks to Duffy Books in Homes USA. Train like Rocky on the Art Museum steps with the November Project. No registration necessary, just show up for the morning workout. All ages and skill levels welcome. 6:25 a.m. to 7:30 a.m. Enjoy fee access to the Mummers Museum. Learn about one of the longest running traditions, take a free tour, make masks or create an instrument. Get there early to score a free book and listen in on a book reading. Break a sweat on the playground with Zumba or play on the Ann Newman Giant Wooden Slide. Arts & crafts and face painting will also be available. Rounding out the day will be four book readings and a limited number of free books for attendees. Enjoy free access to the National Constitution Center, courtesy of Wawa. Explore one of the many exhibits: Freedom Rising, The Story of We the People, Signers Hall, Voting Booths or Supreme Court Bench. Plus, there will be three book readings with book giveaways.